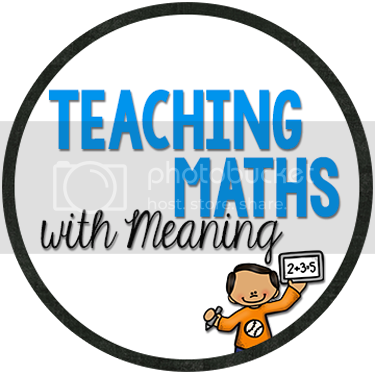 We are jumping around a little with our Maths at the moment - some Fractions and Decimals, a bit of Shape and some Data Collections. 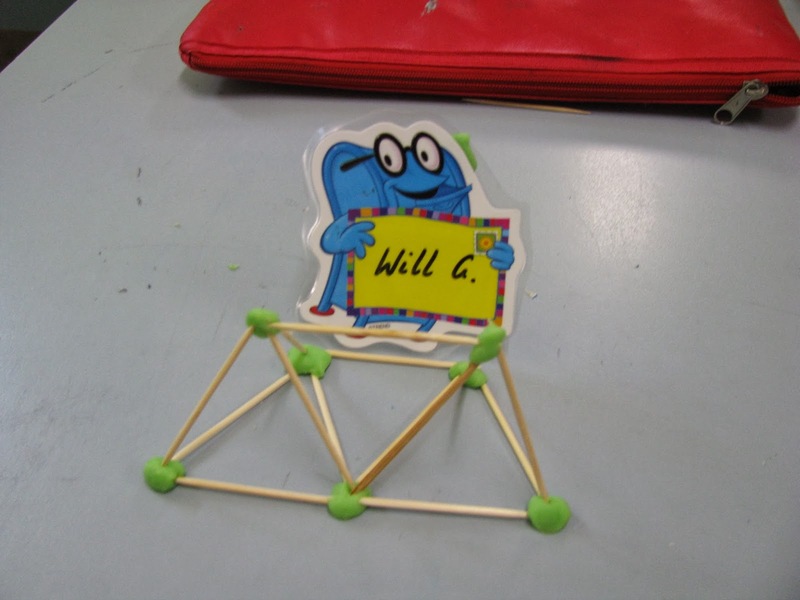 When we did our pre-test on 3D Shape we were surprised with what the children couldn't remember! So we went back to the start. We read "The Greedy Triangle" and made a poster about 2D Shape features, then we moved onto 3D Shapes. 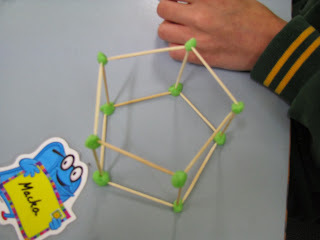 Children were having difficulties describing the difference between pyramids and prisms, so we decided to make some shapes! I made up a batch of Play Doh and found some match sticks and were were all set! Check out the cool 3D Shapes the children made! You will notice we took photos of the kids shapes with their name tags next to them. This was so then we knew who's was who's! 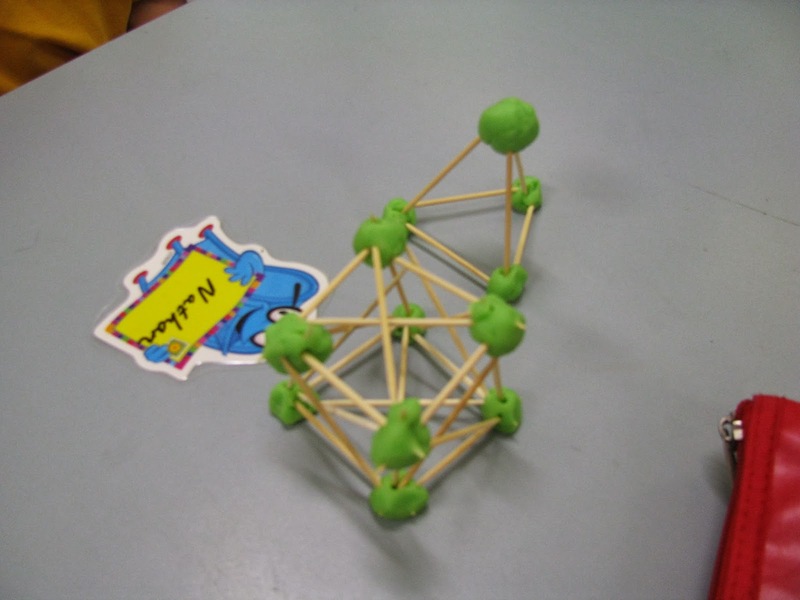 Children then inserted the picture into a publisher file and made a digital 3D Shape poster! We might even know the difference between pyramids and prisms now….